Includes free updates and ticket support for 12 months from the date of purchase. After the expiration date your plugin will continue to work but you won't have access to updates and support. 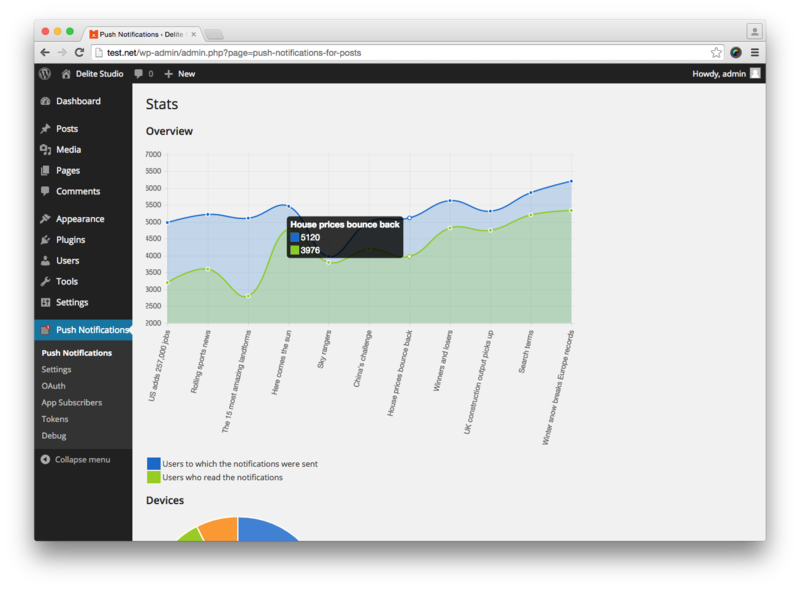 Send push notifications to iOS, Android, Safari and Web Push (Chrome, Firefox, Edge, Opera and others) devices straight from your WordPress site, in real-time. Alert your visitors when new content is published, converting them to regular and loyal readers. It's like a newsletter, but so much more effective. Keep your audience engaged. Push Notifications for WordPress allows you to focus on building beautiful and unique apps, without developing your own server-side back-end. 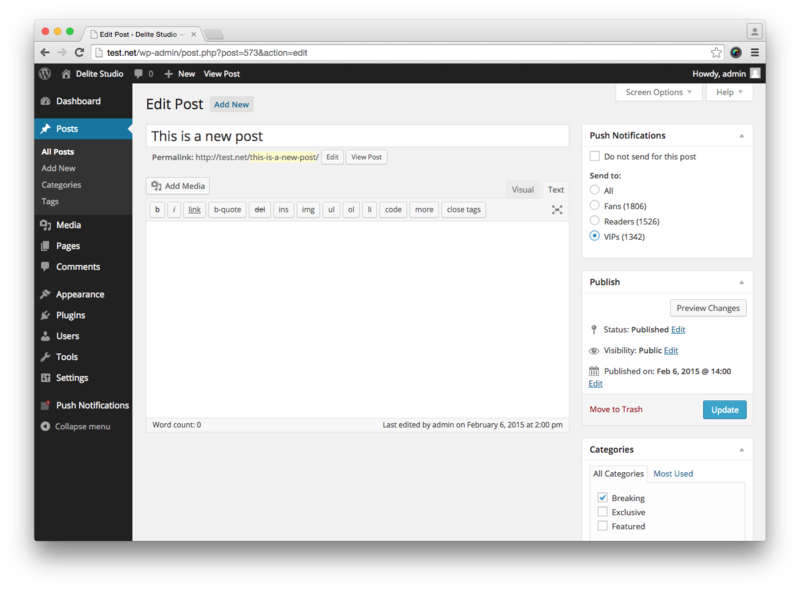 Content for the apps is collected automatically from your WordPress site, so no extra work is needed to maintain them. It even supports custom post types and Safari and Web Push desktop notifications. Important: before making the purchase please double check the requirements. Who is this plugin for? 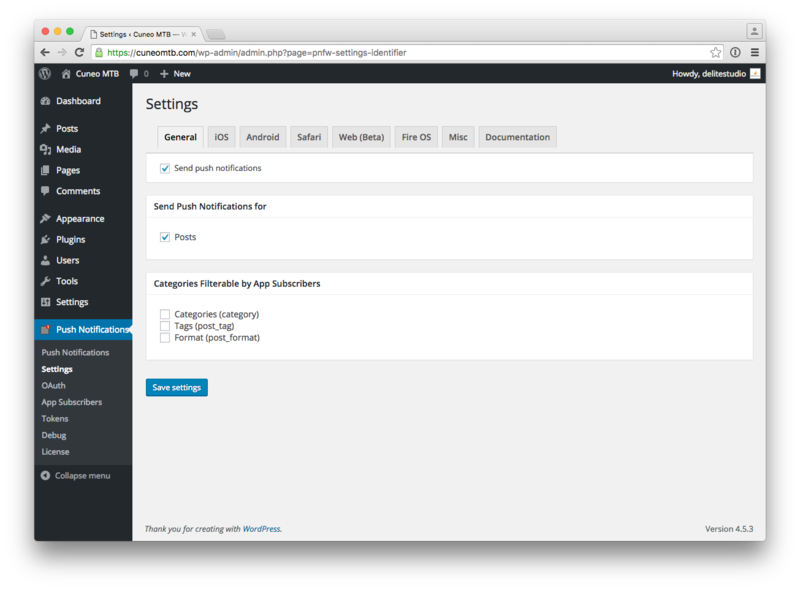 Push Notifications for WordPress is primarily intended for mobile developers who do not want to develop their server-side back-end. Supporting push notifications is incredibly complicated. This plugin lets you focus on creating the apps, without the hassle. 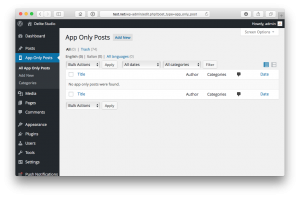 With the purchase of Push Notifications for WordPress you can download for free the iOS and Android libraries.